Griffin Centre’s sprOUT project has created a short documentary with Lesbian, Gay, Bisexual, Transgender, and Questioning youth labeled with intellectual disabilities. Called Our Compass, the documentary explores how these youth come together as a rainbow family, resist labeling and express hope. The AGO Youth Council is hosting the launch of this project through a one-night photo and video exhibit. 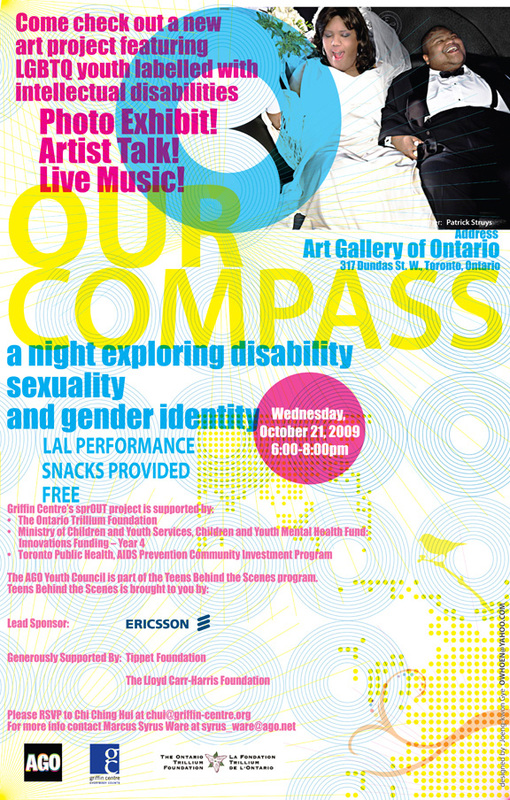 Come out for an evening of music, performances by LAL & sprOUT and an artist talk about the images and documentary Our Compass. For 10 years, the AGO’s Youth Council has met weekly at the Gallery to design programming that is relevant and responds to the needs of youth in the Greater Toronto Area. ReachOUT is a creative, inclusive & accessible program for lesbian, gay, bisexual, trans, and queer youth and adults in the Greater Toronto Area. Activities include drop-in groups, community outreach, counselling, consultation, art and skills exchange. We offer safe spaces that reflect the diversity of our queer and trans communities. LAL is about music and social change. They are a collective that represent Uganda, Bangladesh, Barbados, India and everything in-between. They are instinctive musicians. Some are activists, some are not, but they respect each others opinions and they love like family. 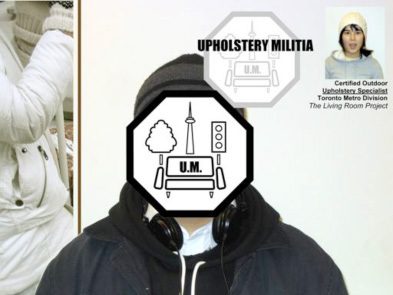 LAL believes in creating a strong independent music movement in Canada. Exhibit on-view December 16, 2010 - January 12, 2011. Closing party and artist talk Wednesday, January 12, 2011 6-8pm.